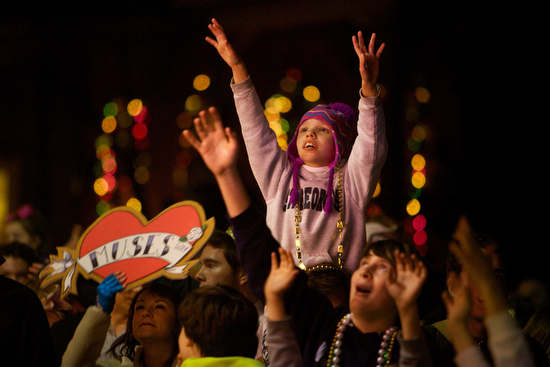 Tonight is Jeudi Gras, for many a highlight of the parade season, and it normally draws large crowds. 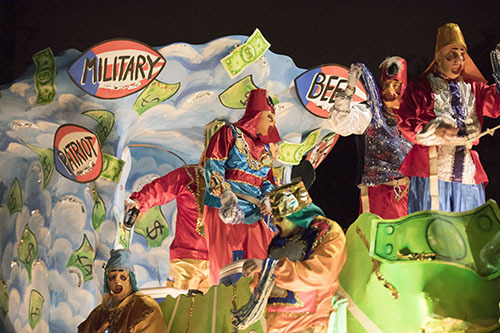 The Knights of Babylon kick it off with an 80th anniversary celebration, followed by the satirical Knights of Chaos and closing with the superstar Krewe of Muses. The city is continuing to monitor the weather. To receive updates on your cellphone, text MARDIGRAS to 888777. 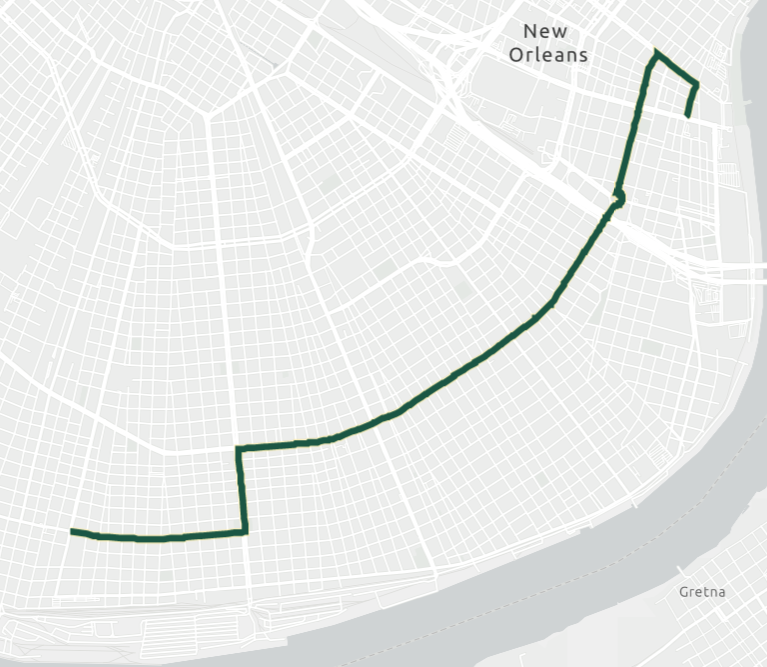 Descriptions and route maps of the parades are below. For updates, see the city’s parade tracker. For need-to-know parade day information, see here. For parking and transportation information, see here. The Knights of Babylon, celebrating its 80th year of parading, adheres faithfully to Carnival traditions. The floats have the same basic designs and dimensions that they did at the krewe’s inception in 1939. The traditional flambeaux carriers continue to accompany the parade, and the king’s float, Sargon, is mule drawn. 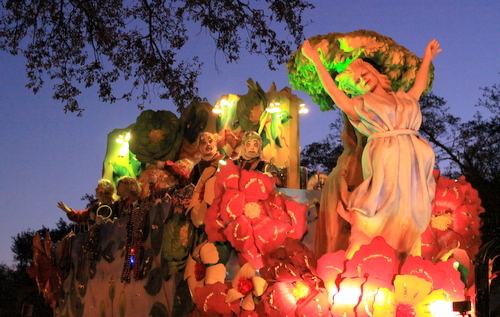 Other signature floats include the Carrollton streetcar, the Gates of Ishtar, the Babylonian Barge, the Hanging Gardens of Babylon and the Jesters Float. Left on Napoleon Avenue, right on St. Charles Avenue into the CBD. 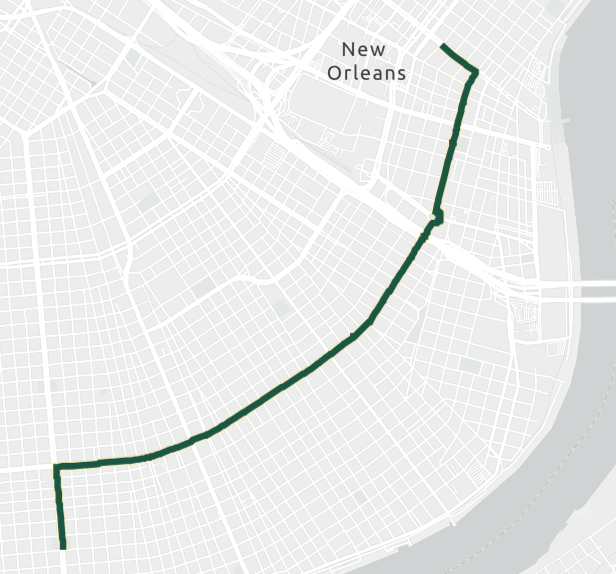 Napoleon Avenue to St. Charles Avenue, proceed on St. Charles into the CBD. In Greek mythology, no festivity in Olympus was considered complete without the joy-inspiring presence of the nine Muses, whose names are also commemorated in Uptown streets. 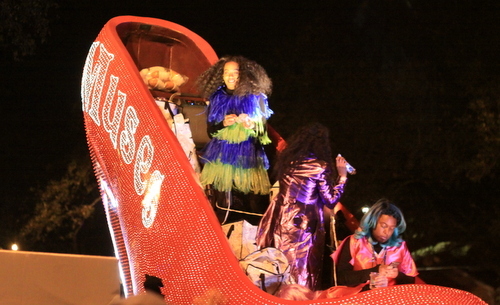 Since its founding in 2001, the Krewe of Muses has inspired joy with its clever floats and themes, its lineup of dance troupes and bands, and its sought-after throws — especially the artful hand-glittered shoes. The first all-female night parade has transformed local traditions, popularizing all-female krewes and signature throws. This year’s honorary Muse is actor Patricia Clarkson. 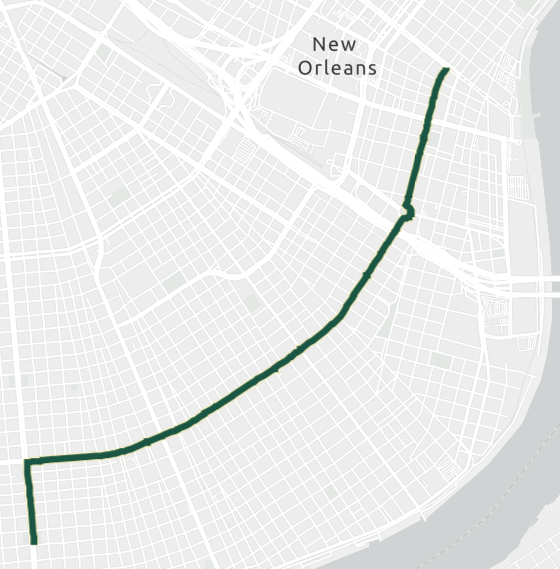 The parade takes Magazine to Napoleon, turns onto St. Charles Avenue, then takes St. Charles into the CBD.